Neapolitan Crèche in Gaylordsville, CT. There is still time, make the trip to Gaylordsville, CT to see the lifesize Neapolitan Crèche by local artist Dayle Elsesser. The display is magical, and the faces are friends and family of Dayle. Normally the display is lit until 11:00 pm, however on Christmas Eve, Christmas and New Year's Eve until 1:00 am. Grab your camera, take your family and show them a unique local show by the very talented local artist Dayle Elsesser. We took the 4 year old grandson last night, he was truly amazed at the display! From the jugglers to the elephant, it is a magnificent scene indeed! 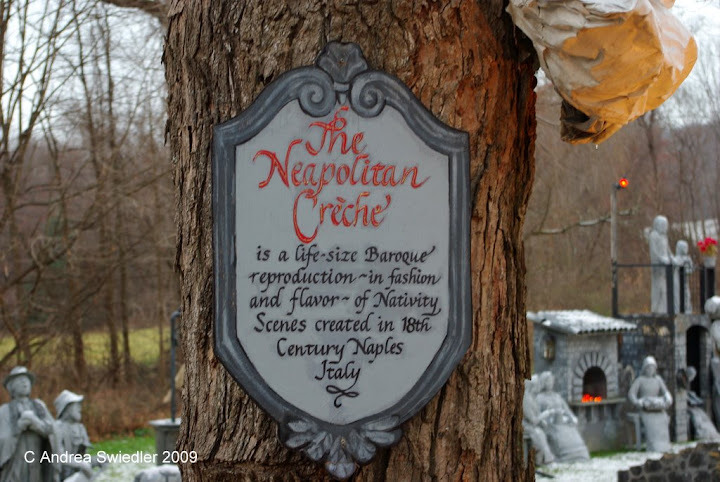 The Neapolitan Crèche is located at 48 Gaylord Rd in Gaylordsville, CT. Bring your cameras, a thermos of hot chocolate, your holiday spirit and enjoy!